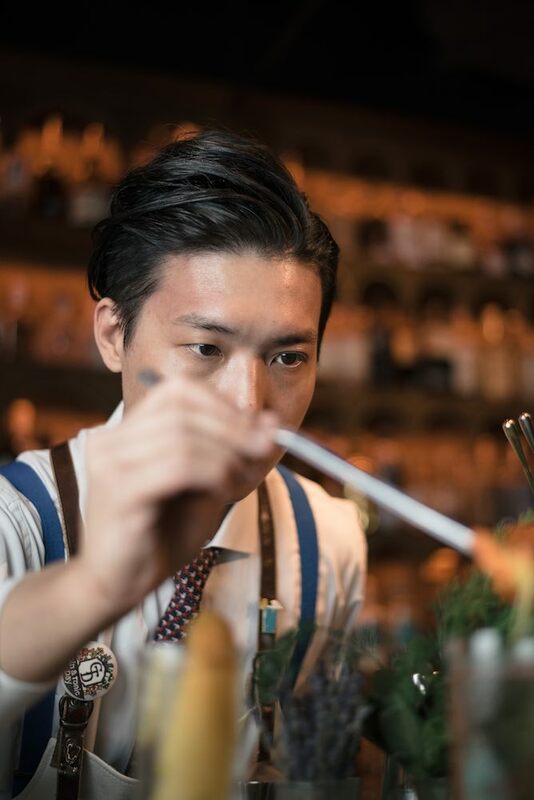 Dr. Fern’s Gin Parlour in Hong Kong raises the bar when it comes to the full gin experience. Aglamorous cocktail haven tucked away in the basement of The Landmark, an experience at Dr. Fern’s Gin Parlour isn’t your average doctor’s appointment. 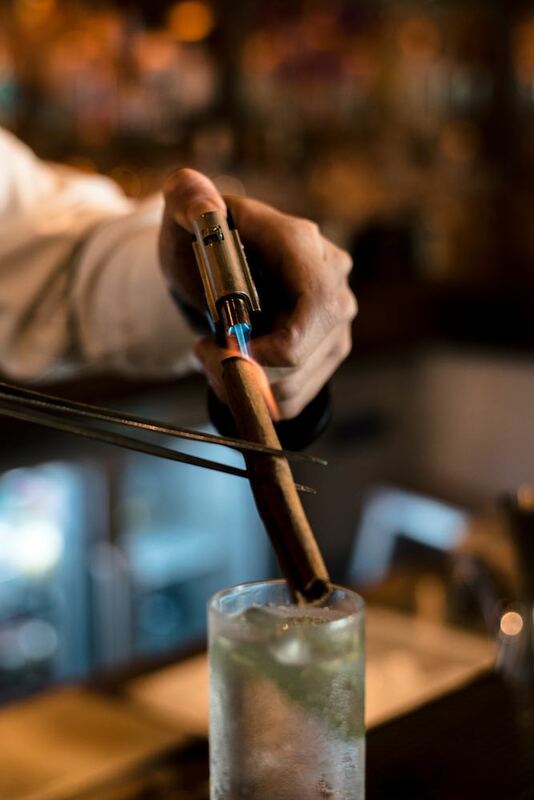 The unusual prescriptions range from fabulous renditions of the classic Gin and Tonic created from Hong Kong’s largest collection of gins to a delicious selection of curated bar bites. This season, Dr. Fern’s unveils a new menu boasting an ever-impressive collection of gins, gin-based cocktails and, for the first time ever, a collection of gin on the rocks by Bar Manager Paul Chan and Group Manager Gerry Olino. Believed by Dr. Robben Fern to cure any ailment or stress-related palpitations, gin is the purest distillation of herbs and botanicals deriving from the predominant flavor of junipers. Dr. Fern’s Gin Parlour unveils six new signature gin prescriptions, starting with the Italian inspired Sabatini Gin, a truly excellent gin that requires constant testing and a careful combination of flavors and homegrown botanicals to achieve the unique expression of the inimitable scent of Tuscany and its hillsides. 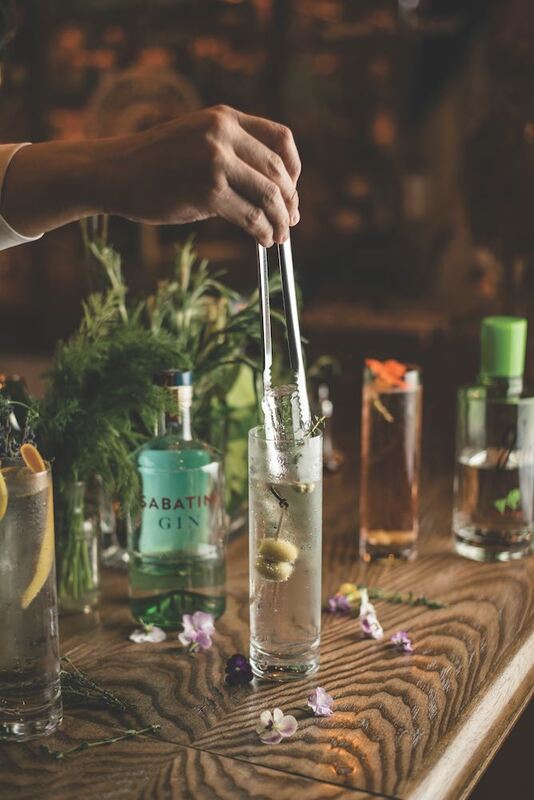 There are precisely nine Tuscan botanicals in Sabatini Gin, including juniper, coriander, iris, fennel, lavender, olive leaves, thyme, verbena and orange. At Dr. Fern’s the gin is paired with Aegean Tonic and is simply dressed with a garnish of olive, cardamom and thyme. Also debuting on the gin prescriptions menu is the elusive Blind Tiger Gin which, notably, is Chan and Olino’s favorite pick. Available exclusively at Dr. Fern’s, the gin is handcrafted in small batches at a mystery location in western Belgium. 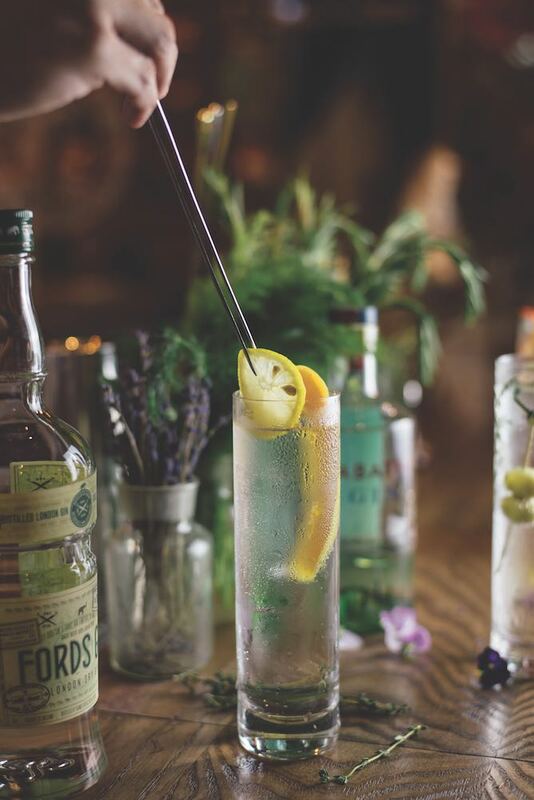 At Dr. Fern’s, the gin is enjoyed with Fever-Tree Mediterranean and garnished with orange peel, cinnamon and rosemary. Colombian Aged Gin Ortodoxy is a barrel-aged gin from the same makers of Dictador Rum, based on the formula of the company’s former president Dario Parra. After visiting the UK and enjoying what he decided to be “God’s drink”, he went about creating his own Colombian version of the spirit. He settled on a glorious recipe rich with juniper, angelica and mint notes. Post-distillation, the Ortodoxy Gin is aged in used rum barrels. 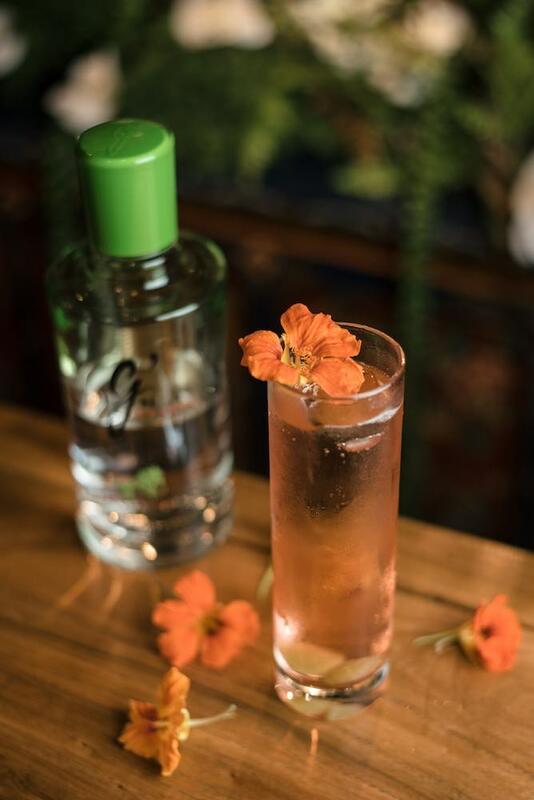 At Dr. Fern’s, gin enthusiasts can enjoy the Ortodoxy with Bickford’s Tonic and a tart garnish of lemon wheel and grapefruit peel. With such an extensive collection of gins, Dr. Robben Fern also encourages guests to drink select prescription gins with distinctive flavor profiles on the rocks from his personal collection of favored gins. Now, it is easier than ever to find a gin that features preferred qualities, whether it is cinnamon or cardamom; citrus or floral notes or the refined flavors of barrel-aged gins. Out of the six new designated gins on the menu, the Bar Hill Tom Cat Gin boasts a robust character revealing hints of whiskey due to the new oak barrel mingling with the coniferous quality of the juniper and touch of raw honey, yielding an enticing aroma. Another to be sipped and enjoyed on the rocks is Truffle Gin, a decadent and rare unique gin distilled with the world’s finest Italian white truffles by Will and Lucy Lowe of the renowned Cambridge Distillery. The botanicals for Cambridge Truffle Gin are distilled in a vacuum at low temperatures using custom-designed glass distillation technology, which enables their fresh flavors to be faithfully delivered in the gin. The gin is distilled in one-liter batches, with most of the botanicals used being locally foraged or grown in the Lowe family’s back garden.